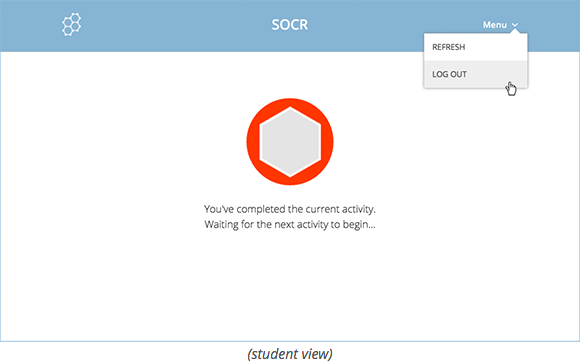 Have your students sign out by clicking the Menu on the top right and selecting Log Out when Socrative is in “waiting for teacher” mode.Note: Students won't be able to log out until they've finished the current activity. You can also manually remove all students from your room by selecting Clear Room from the Roster menu. For more information, see our related help article.